The best makeup app ever! The smart facial detection on this app gives you the fastest digital makeover. It is as easy as taking a selfie! YouCam Makeup is the best makeover and hairstyle studio with hundreds of makeup and beauty products for your digital makeover. The smart facial detection gives you the most true-to-life makeup application in real-time or on selfie photos. I am not a makeup expert so this app is absolutely amazing because I can be *picture ready* in a matter of seconds. I can totally see how this app also comes in handy when trying to decide what colors, styles and products fit you best. 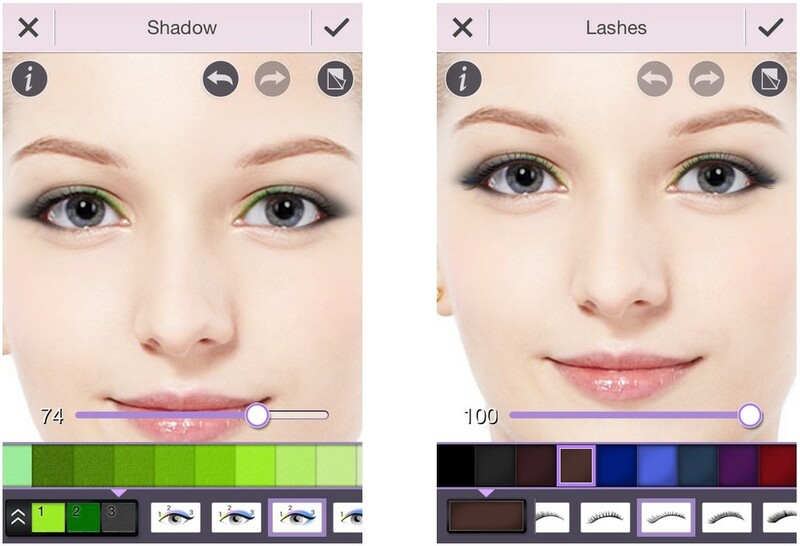 Here are a few things you can do with this app that I am sure any girl will love (even girls that don’t wear makeup). You can choose from a variety of eyelashes, eye shadow and even eye color. Playing around with the eye colors is part of the fun. You can also choose from a wide variety of hairstyles and hair colors as well as blush tones and lipstick colors. Take a look at this guy having some fun! Even if you don’t have anything on your face, you are a few taps away from looking your best. You can adjust the points to ensure that the shape of your eyes or lips is detected properly. This makes the application of your lipstick and makeup more precise. There are also various styles and colors of hair to try out as well as accessories.There are several applications that offer the same features as this one but most of these apps do not have that natural look, people can tell you have used an app automatically. 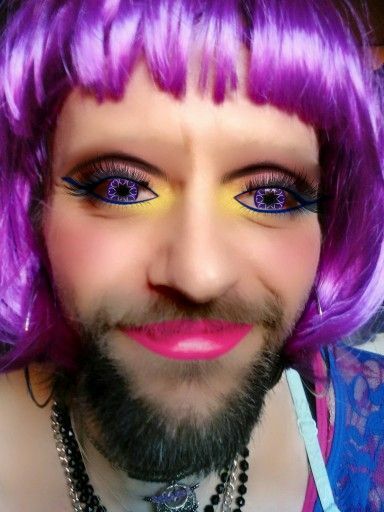 This is not the case with YouCam Makeup- Makeover Studio as the makeup and hairstyles look natural. Here’s me playing around with the app. Share your experience with this app in the comments section and let me know if you loved it as much as I did!